The Martian Score Suite (found on the soundtrack) essentially has two movements: Making Water, and Crossing Mars. 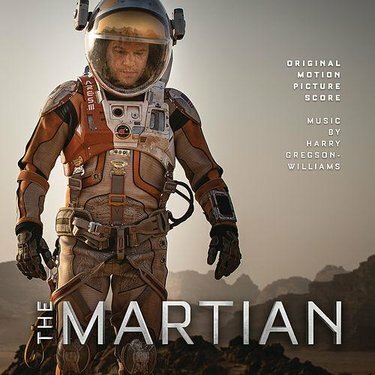 Both of those songs can found individually on The Martian score, by composer Harry Gregson-Williams. Crossing Mars is a stunning piece of music. As I learn these orchestral pieces, it occurs to me that I’m totally trapped in a certain type of thinking when I write music on guitar. Everything is in 4/4 or 3/4 timing — and my chord progressions are unremarkable. On the other hand, a composer like Harry Gregson-Williams totally free, and writes music as if he has no limits on his imagination. When I do go about arranging and orchestral piece of music for this blog — I usually take the opposite approach and play as little as possible. To this day I remain inspired and obsessed with Gustavo Santaolalla’s minimalist score for Brokeback Mountain. When I begin a transcription of this type, I usually think about what Santaolalla might do. The guitar tab for Crossing Mars is a single page long. Your own ability considered — I view Crossing Mars as easy to play. There’s no difficult chord shapes to speak of, and that is by design. To have the output of material that I have on a week to week basis — it’s imperative that I make everything as easy to play as possible. I think it kinda sounds better that way too.